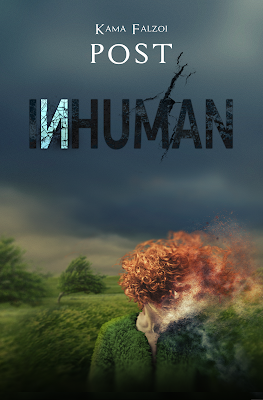 Today, I have the pleasure of hosting Kama Falzoi Post for the release of her Young Adult sci-fi thriller, InHuman! Keep reading for a chance to win $25 Amazon Gift Certificate! Since Adam’s survival is the key to drawing out the Conduit—a slippery sort bent on evacuating souls from their human bodies—Mira must help him pass for a typical teenage boy. That means showing him how to talk right, walk right, chew with his mouth open... blend in. Ironic, because blending in is has always been a challenge for Mira, especially with hair the color of a Dorito. But at their small, secluded prep school, blending in is a matter of life and death. Because the Conduit is watching. Kama Falzoi Post is a functioning member of society, a part-time introvert, a pinnacle of contradictions, the mother of a hurricane, a step-mother, and an author. She enjoys drinking red wine and then drinking more red wine, listening to music that moves her, and taking things too far. She developed a love of books and writing at a very early age. 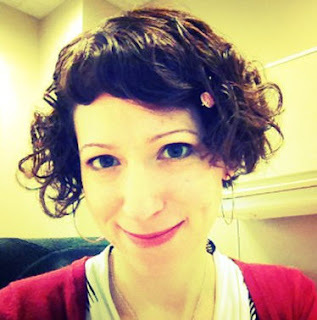 Her stories have appeared in a handful of literary magazines including Inkwell and SmokeLong Quarterly, and most recently in the anthology Outliers of Speculative Fiction. She lives in a small town outside a small city with her husband, son, and too many cats.